Special Offer – 10% OFF Spring Cleaning services in The Chilterns. We will clean your house with freshly laundered colour coded cleaning cloths and mops. If for any reason you are not satisfied with the cleaning service we have provided, all you have to do is contact your local office, within 24 hours of our visit, and explain the problem. For a domestic cleaning service in The Chilterns with a guarantee, contact us now! We can carry out a regular domestic cleaning service on a weekly, fortnightly or four weekly as required and we even supply all our own cleaning equipment and materials! …then Merry Maids of The Chilterns can help. Here at Merry Maids of The Chilterns we know that each property is as different as the people that live there so we offer a bespoke quotation service, tailoring our work to your requirements. We are also able to provide oven cleaning and co-ordinate carpet cleaning where required. You’ve have found the house of your dreams and the contracts have been exchanged…..we know this is a really stressful time. We offer a Deep Cleaning Service for your new home so that it is ready for your family to move in. We will sanitie and clean all the paintwork and surfaces, sanitary ware and even the insides of your kitchen cupboards and the inside of all windows. We can also clean your present home after the removal teams have finished, so that it is ready for your buyer. Put your feet up and let us do the hard work! *Valid for use at Merry Maids of The Chilterns only. Valid for new customers only. Valid until 31st December 2016. No cash equivalent. Cannot be used in conjunction with any other offer. Terms and Conditions apply. Please ask for more details. Call today on 01844 275333 to arrange your free no obligation quotation! Merry Maids of The Chilterns is pleased to be Dementia Friends. Read our blog post here. Would you like to work for Merry Maids The Chilterns providing domestic cleaning services in The Chilterns and the surrounding areas? Do you take pride in your work and love to clean? Can you get to our office in Princes Risborough by 9:15 am each day Monday to Friday? Are you available until 2:30pm if required Monday to Friday? WHEN WE HAVE VACANCIES WE OFFER POSITIONS OF 3, 4 or 5 days a week to suitable flexible candidates. 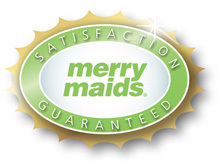 We have enjoyed the services of Merry Maids The Chilterns for over 5 years, for they give a wonderful personal service with consistent professional standards. They are flexable, responsive to individual situations and always cheerful!